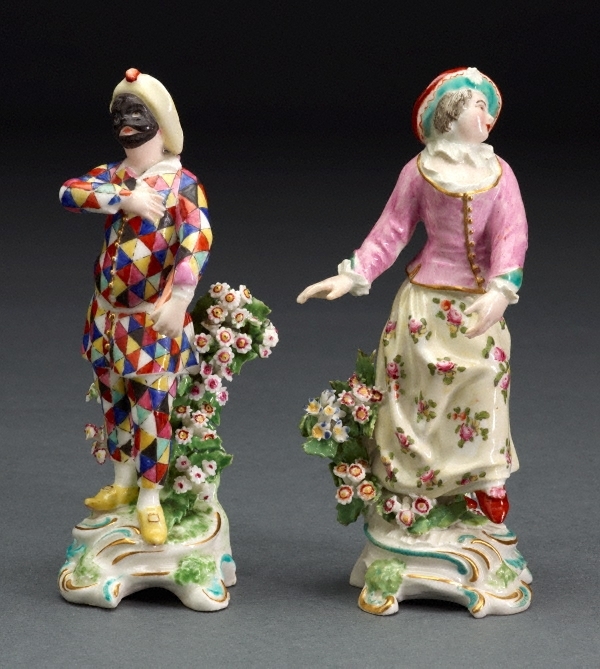 Columbine and Harlequin (L2012.128) were among the best-loved characters in the Italian commedia dell’arte and were frequently portrayed in porcelain figures. Columbine is based on a Meissen figure modelled by Reinicke in 1747. 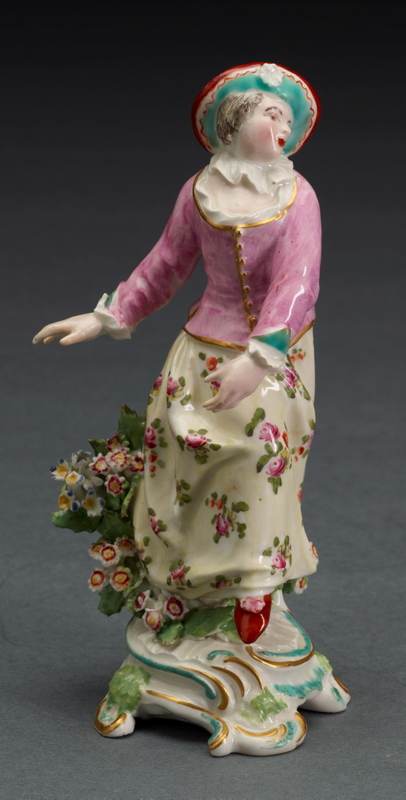 The Derby pair are mentioned in a list compiled by John Haslam of models produced between c1772 and 1795.